This past Saturday we hosted a “Win-A-Box / Free-FNM for a year” Magic The Gathering Tournament. It was a Standard Format showdown and with the recent bannings as well as a new set release; There were some interesting new decks floating around. It was a great turnout and after all was said and done Ian Grimshaw walked away the Victor. For his efforts he took home a Box of Aether Revolt and has free entry into FNM Events at The End Games for a full year! Keep an eye on our event calendar as we have a month of FREE tournaments coming up in February. Here are the Decklists of the Top 4 Spots for your perusal. 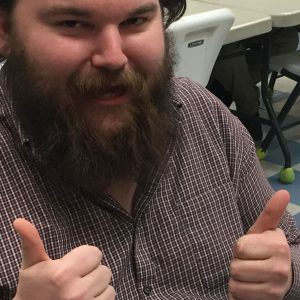 This entry was posted in Decklists, Magic The Gathering, Store News and tagged Charlottesville, Decklist, decklists, Magic The Gathering, MTG, Standard. Bookmark the permalink.